JOE remembers what it was like being a student because we barely had two cents to rub together so we were frequently made to sing for our supper, breakfast, dinner...any meal really. While we struggled to feed or cloth ourselves we did always manage to find just enough money to buy a bottle of Buckfast. Funny that. 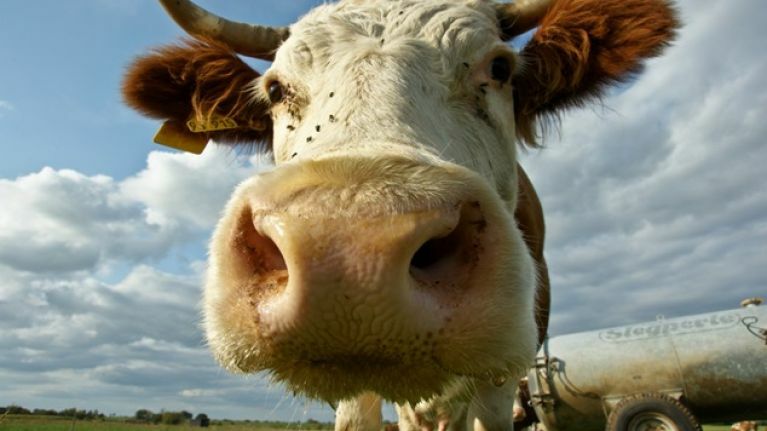 JOE reader Clodagh Nic Lochlainn, who is currently studying in Belfast, doesn't have this problem though after she received this very welcome text from her dad Sean which informed her about a cheque that arrived in her family home in Leitrim. 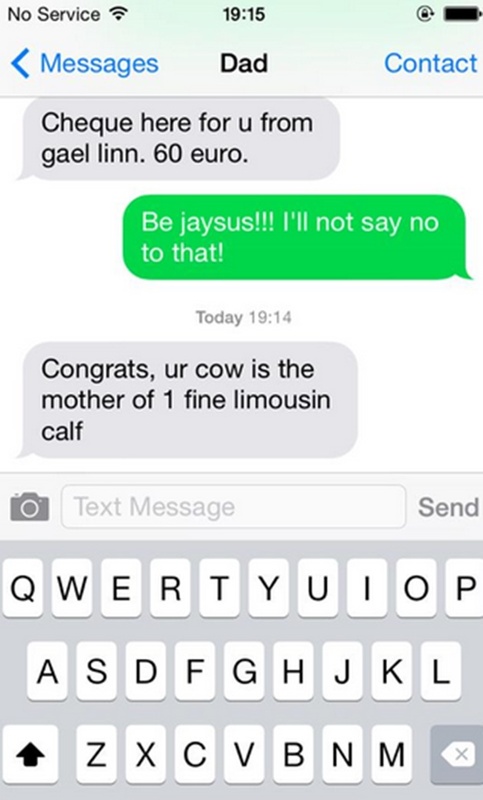 While Clodagh isn't exactly a moolionaire just yet this text did make us laugh.